What Are the Different Types of Evidence Technology? A crime lab analyst inspects material evidence from crime scenes. The analysis of fingerprints is one part of evidence technology. 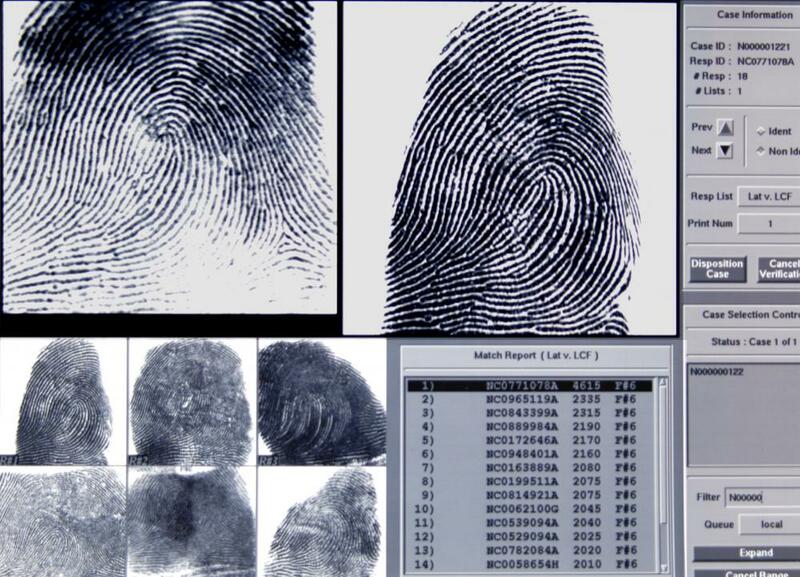 Fingerprint evidence technology, which uses brushes, powders and clear tape, are widely used in evidence technology. Physical evidence collected at a crime scene can offer investigators invaluable clues. Evidence technology helps ensure that each type is documented and analyzed properly. Everything from cameras to fingerprint equipment may be used by investigators and technicians to find tiny bits of material at the scene. 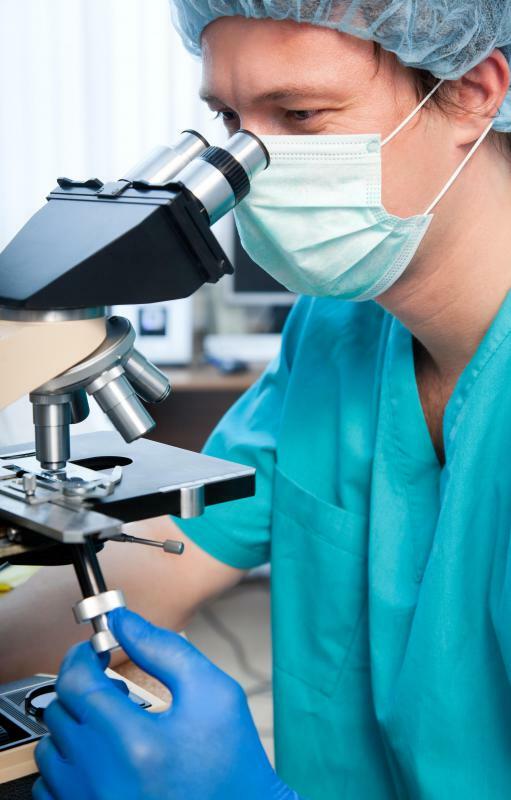 In the lab, chemistry, biological analysis, and specialized materials testing allows the forensic scientist to reveal evidence characteristics. Hairs, fibers, plants caught in the underside of a car, and tire marks or footprints in soil are things investigators look for. If investigators are trained in performing a thorough and methodical crime scene search, they can often make a solid case. Using evidence technology helps preserve evidence, but it is no substitute for trained observation. A digital camera is vital evidence technology that records the undisturbed scene. Tool marks in burglary cases, broken objects or entry points, and body positioning may be documented. Video cameras offer a real-time walkthrough, and investigators can make audio observations while shooting. Timestamps on videos or pictures show when they were taken. Blood, bodily fluids, and other liquids require evidence technology that will not destroy them. Investigators and technicians typically use paper evidence bags to contain stained clothing or fabric. Paper bags are also used on the hands of a deceased individual when there is the possibility of trace evidence. Plastic containers cause condensation that can compromise or destroy many types of evidence. An alternative light source is a useful piece of evidence technology that lets investigators see latent fingerprints and biological material invisible to the naked eye. Often used with chemical reagents such as luminol, it enhances the spectrum of ultraviolet light and causes evidence to fluoresce. Samples and pictures can then show where a bloodstain might have been. Luminol destroys trace evidence and is only used when other techniques have been exhausted. Fingerprint evidence technology is also widely used. Prints are lifted from a surface using brushes, powders, and clear tape. Images are then fed into specialized computers that perform comparisons to known samples in the print database. The computer can often score a hit in a matter of hours. Digital transmission of photographed or scanned prints allows timely sharing of results. Forensic laboratories use scientific evidence technology, such as mass spectrometers and gas chromatographs, to test samples. A piece of charred material from a suspected arson can be enclosed in a paint can and the air inside the can can be tested for accelerants released from the material. DNA analysis compares biological evidence to see if a biological sample might match a suspect. 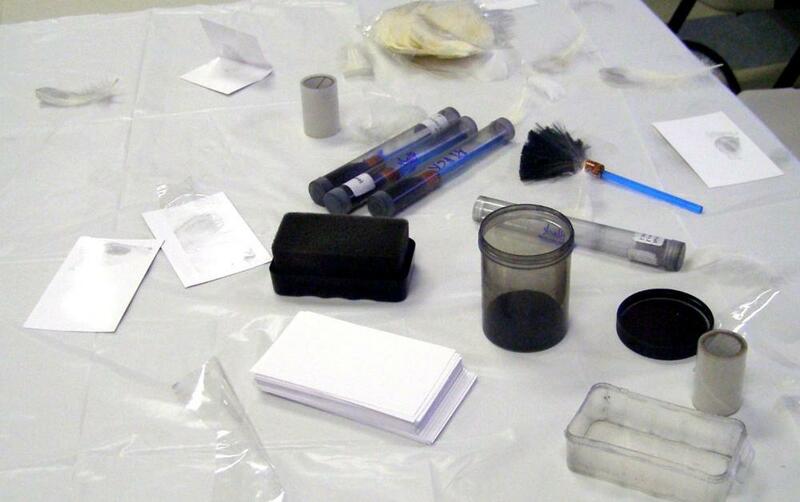 Materials, including duct tape, bullets, and paints are tested in the laboratory for matching characteristics to crime scenes. What Is a Time of Flight Mass Spectrometer? What Is a Tape Image? What are the Rules for Gathering Evidence? What are Guidelines for Evidence Collection?